Today I thought I'd update you on my ink storage solution and also highlight some 'oldies but goodies' from the ink world. So first up, Distress Ink cubes. 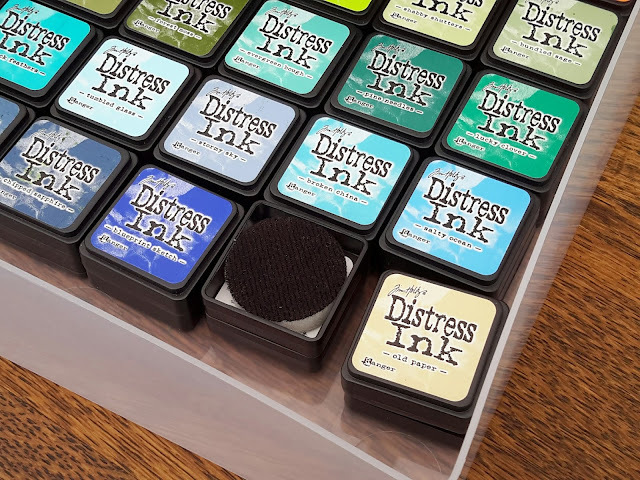 I was VERY late to the Distress Ink party so when I did discover them, I went for the mini ink cubes. 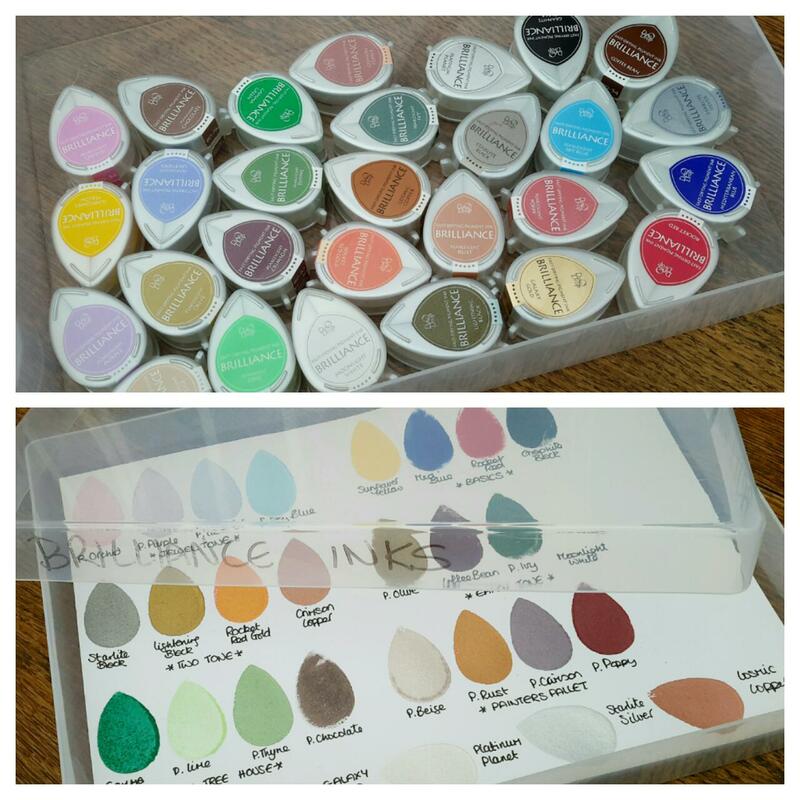 I bought them all from Amazon over a few months as they were a lot cheaper than anywhere else. 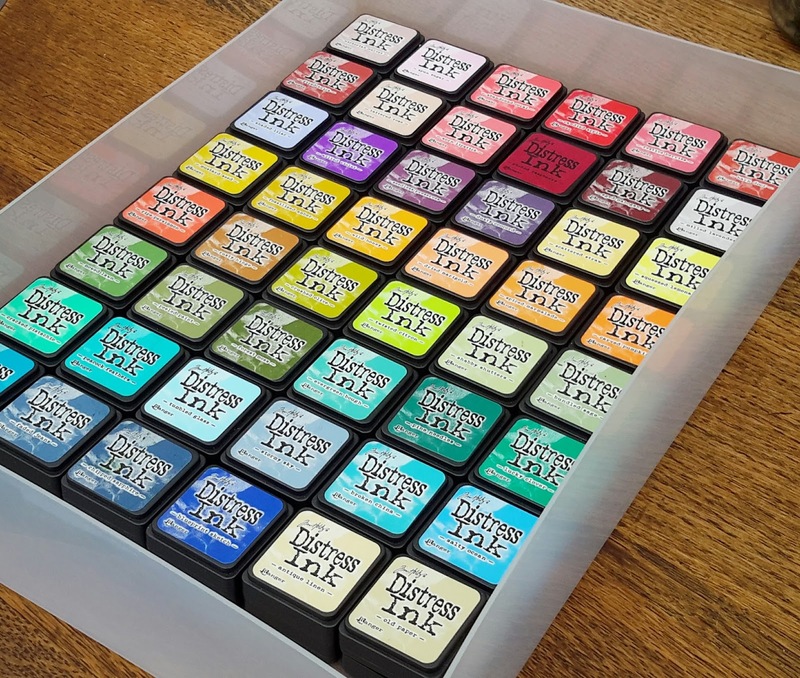 The Peel-Off box sits on top of the first layer of inks. 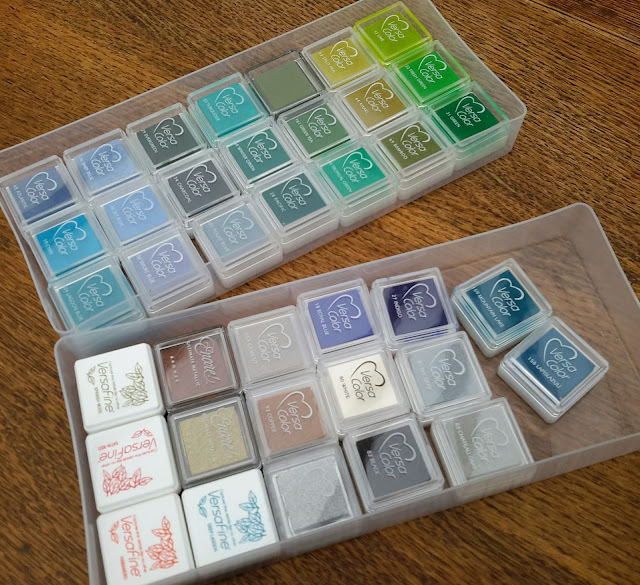 There's also enough room for the distress tools and pads, plus some acetate for smooshing techniques and a Mini Mister. I keep a seperate foam pad under each ink, it sits in just nicely. 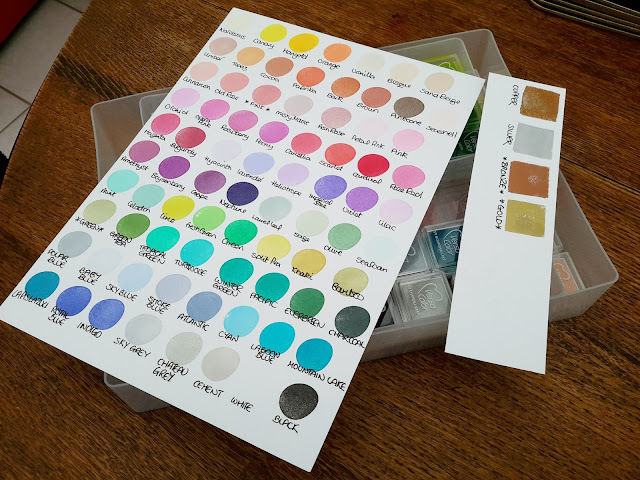 I made a simple colour chart on a piece of watercolour card, using both sides, and that sits inside the box too. So when ever I want to use distress inks the whole collection is together, colour chart to hand, the tools and I'm ready to go. So here's an 'oldie-but-goodie' ink collection....Brilliance Inks. 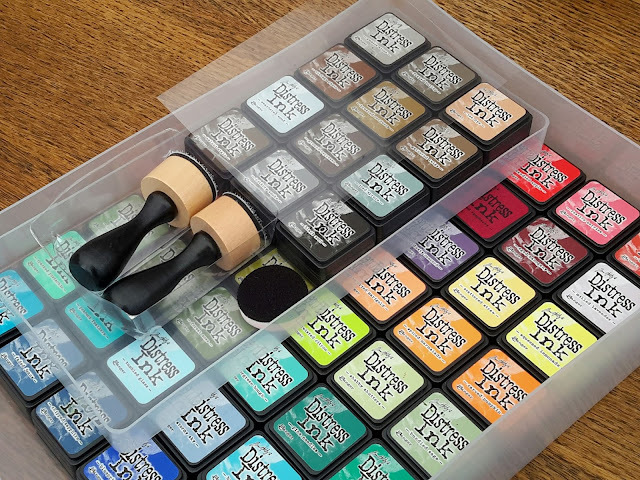 These have been around for years but that's brilliant (excuse the pun) as now you can easily find these at ridiculously low prices and they're as good as all the latest inventions in inks. 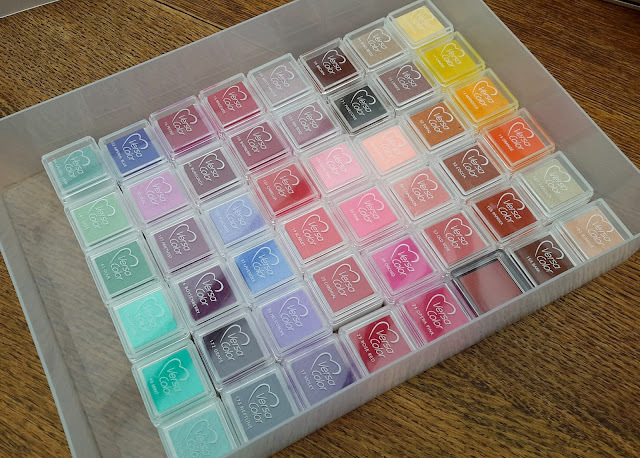 The whole collection will easily fit in one of those A4 boxes I talked about earlier. 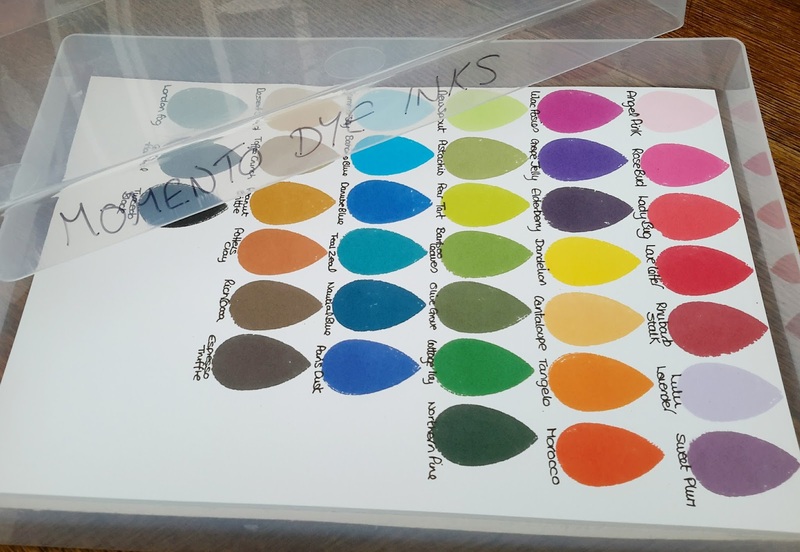 Check out those colours.....these are uber lush, moist inks, some with a pearlescent finish and some a metallic sheen. Brilliant Brilliance!! 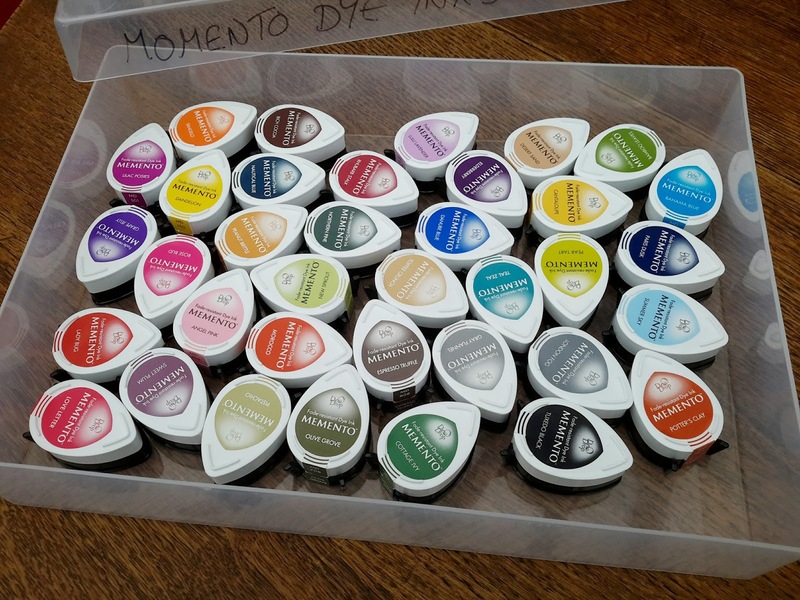 Momento Dye inks have also been around for yonks, again the whole collection will fit in an A4 box and are really inexpensive now compared to all the new inks available. Look at those dazzlingly bright colours....love 'em! Up next....Versamagic Chalk inks. 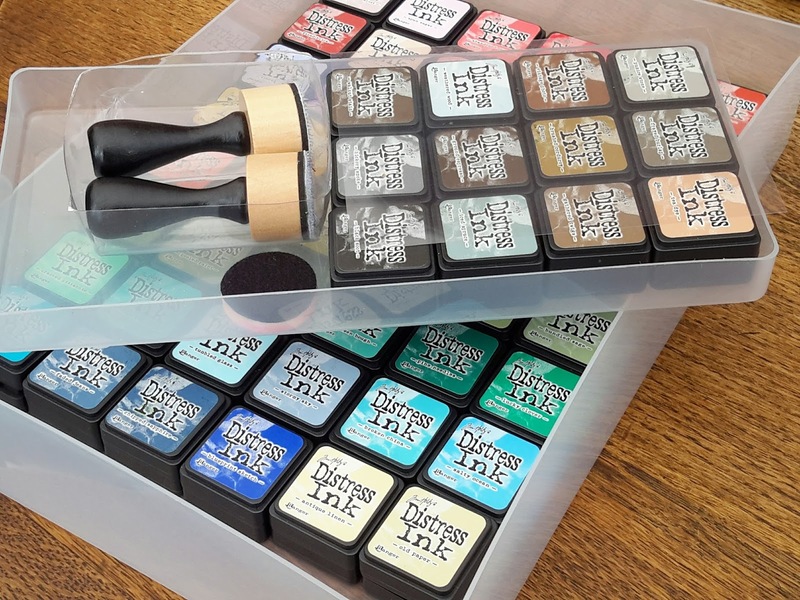 Again, they've around since the dawn of time but these are a 'must-have' set of inks to own. The colours are to die for and the finish is heavenly...a smooth, chalky look. Honestly, just buy them because of the names....Sea Breeze, Aquatic Splash, Pink Grapefruit...lol. 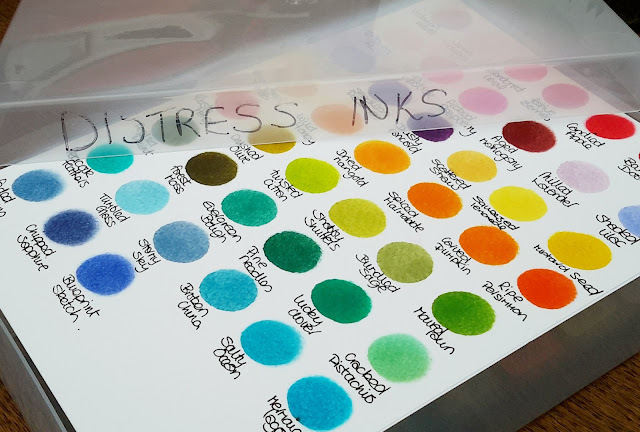 My final, nostalgic reminder of inks, that you can still find at insanely good prices, are VeraColor inks. 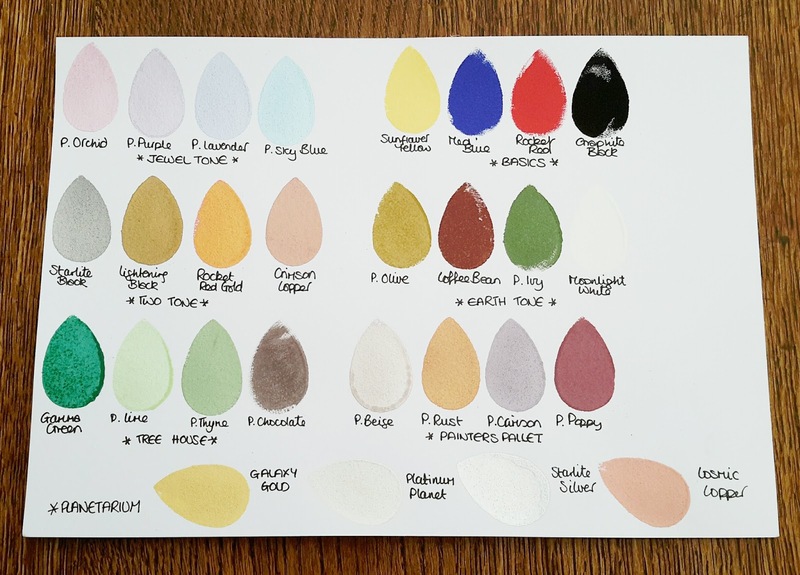 Seriously, this collection has just about every colour you could ever want. 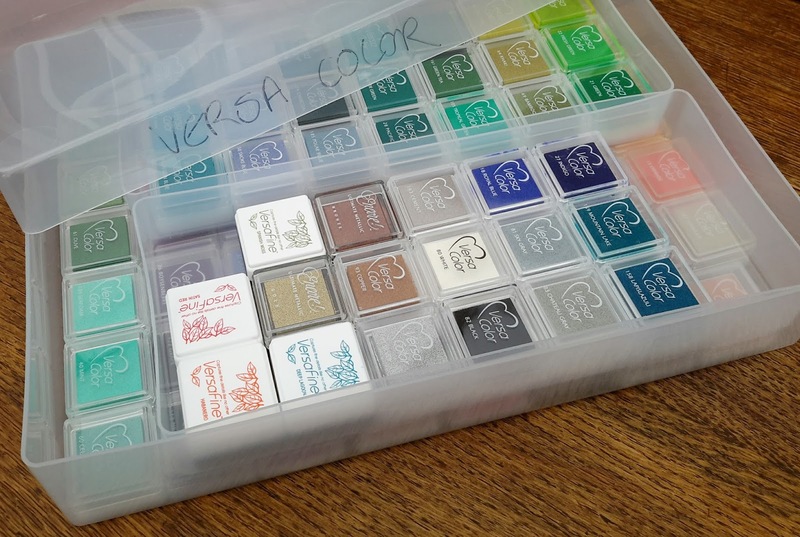 You can put a layer of inks in the A4 box and then sit 2 Peel-Off boxes on top with the rest of the collection in. 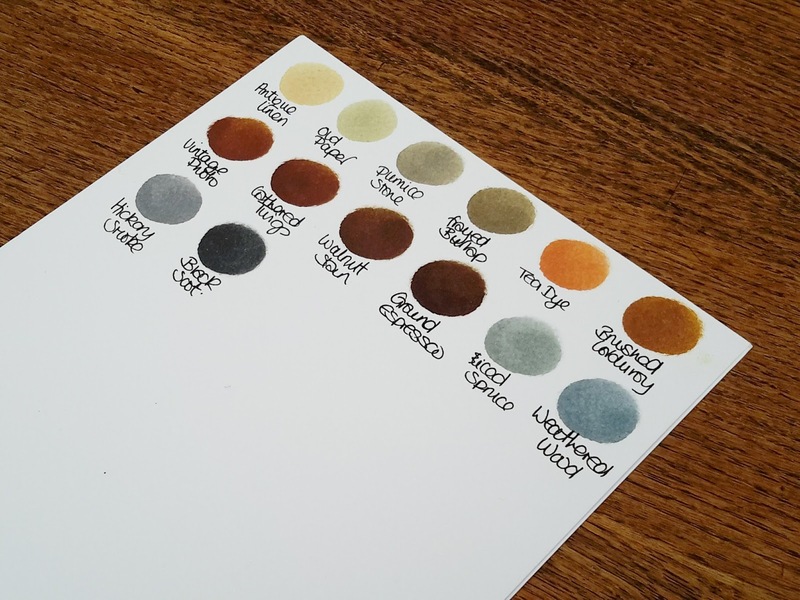 I have also squeezed in some odd VersaFine & Encore inks that I had. There's no rattling around, they all sit perfectly tidy. 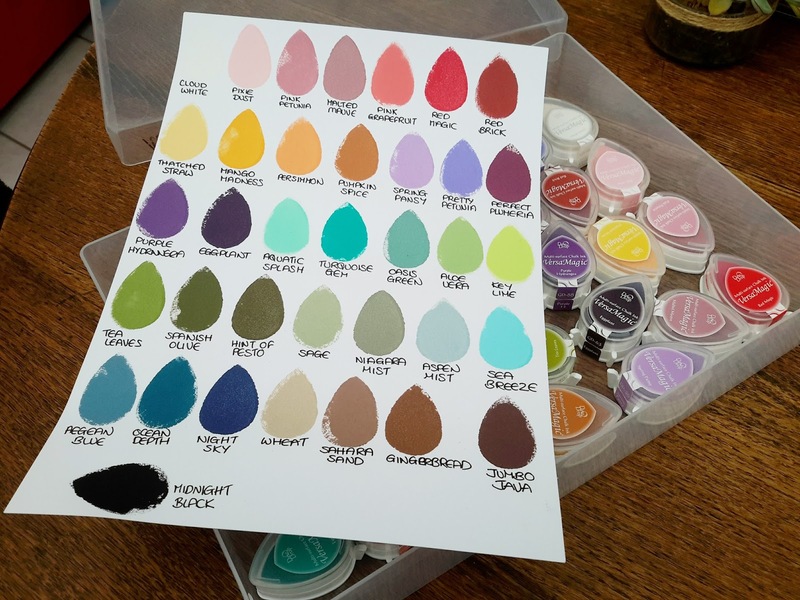 Check out those colours...Love! Love! Love! So I hope you may have found this wee look at some of the inks I have useful. 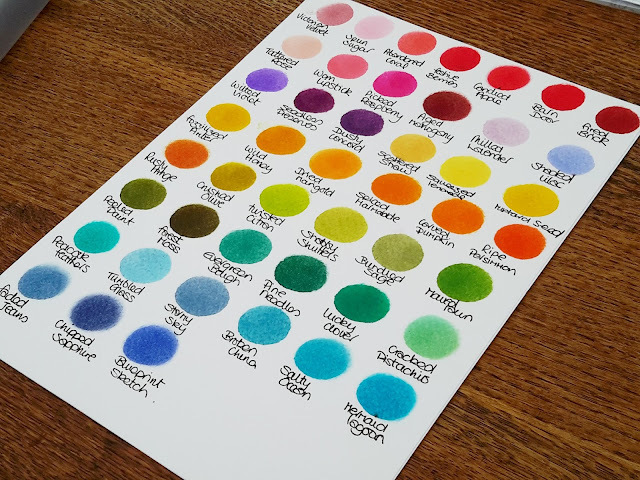 If I was a wealthy woman with space to fill, I'd buy all of the latest inks but to be honest....I love a bargain, I get a big kick out of hunting down the best price and my space is limited BIG TIME. 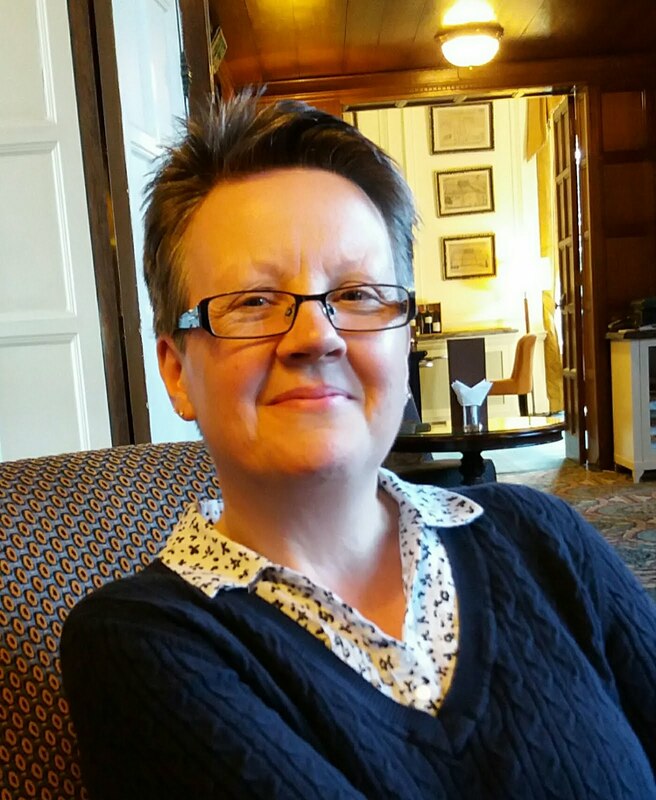 I'm confined to a teeny corner of the living room with a desk and sideboard. 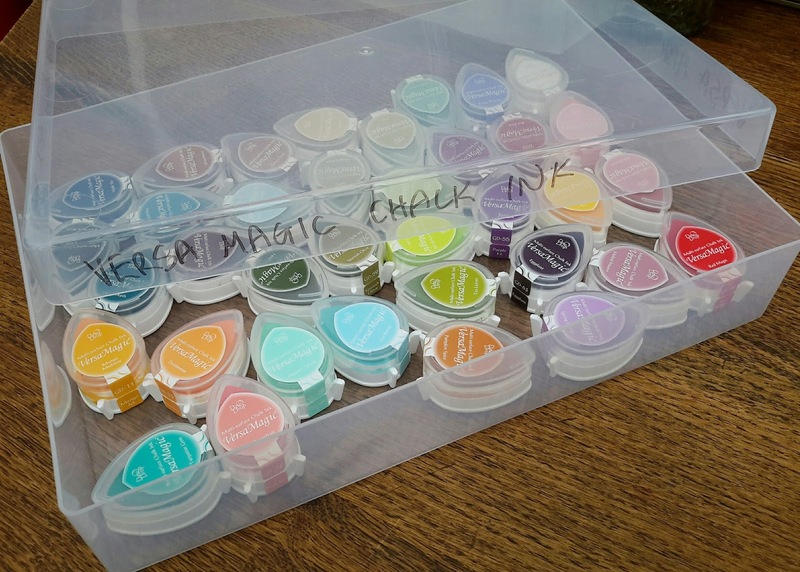 Using these inexpensive A4 & Peel-Off boxes to store my inks (with the colour chart enclosed) works for me and they stack on top of each other nice and neatly.